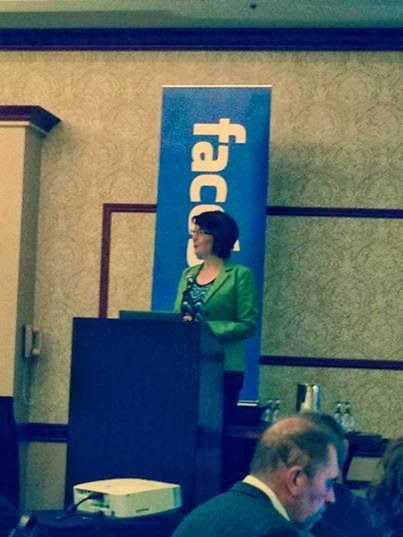 I attended a great event today from Facebook at the Double Tree Hotel in Downtown Spokane. 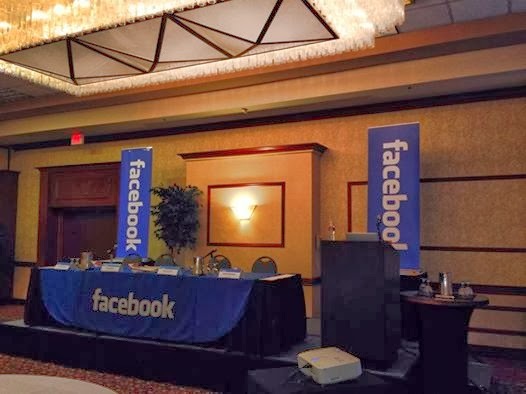 The event was called Facebook for Business or Facebook Small Business Boost which had over 200 people in attendance, the largest group Facebook says they have ever had. The presentation and panelist were there from 9:00am - 11:00am and stayed around to answer questions at the end. The good news is that I already knew a lot of the information they were telling us about in regards to business pages. But they also put a lot of myths to rest like, the best time of the day to post is 10:00am...or..... you have to have lots of posts to get LIKES on your Page. Well its different for each company and there is no real answer. Facebook says that the time of day your posts are read depends on your users, and there are ways to track that information for your business. They also said that relevant content is more valuable then lots of posts. So tracking this information for your business is the real way to find out what works best for your business. This informaton is found in your Admin Panel on your Facebook Page. Facebook spoke about utilizing the "Pages" app on your phone, pre-posting or scheduling post in advance etc... They also had great speakers who included Rich Hadley from Greater Spokane Inc., who was also a sponsor and Congresswoman Cathy McMorris Rodgers. Of course Facebook has an objective in these Free events which is to offer this event to the public business sector to gain more marketing revenue. The more business folks they teach how to advertise, the more folks will do it. But you also have to sell the benefits, and that's exactly what they did. Facebook brought in local business to testify to the power of advertising with Facebook. I completely get it and am happy to get the free information. But there is real value brought when you have "real" local business sharing their advertising strategies, and success stories with a large audience. The local business featured were Farm Fit Girl (3,500 Likes), Swank Boutique (9,000 Likes) and some guy that sold yarn. I know, yarn, right, well his company is called Paradise Fibers (25,500 Likes). Well this dude has more LIKES on his Facebook page then all of our Facebook friends combined. So I have to give the guy mad props. Plus he was hilarious. Facebook opened up questions to the audience and many questions were asked of the panelist. At the end Facebook gave away $500 to 3 businesses who were there when they called their name. I wish I could have won, but I didn't. Maybe next time :-).